An article in the New Statesman, “The Social Cell” by Daniel Dennett (April 13, 2012) is an interesting work on the effects of information on some social systems. One of these is religion. The writer believes that the free flow of information challenges religion (most certainly) and will likely lead to its extinction (most “doubt”-ful). To me, the thesis seems a bit simplistic, ignoring the fact that information does not compel. Faith is needed in steering toward both belief or disbelief. Modern Physics may lead one person to believe that God is unnecessary… a “god in the gaps” until the gaps close. Another person may see the wondrous complexity and beauty of the Universe as viewed through the lens of modern physics and gain greater conviction of the power and wisdom of the Creator. Likewise, as Dennett noted, religion seems to develop spontaneously, so the death of religion seems unlikely, because out of death it springs anew in different forms. But that is not the interesting part of the article. Of greater interest is the section regarding unbelieving clergy. These are people who started out as firm and committed believers. However, as they went to seminary, and as they had access to information and theories of others, doubt drifted towards unbelief. At some time, they drifted fully into disbelief, but did not lose their religion. Their ties (and occupation) within the religious community were too strong. They teach and preach a belief that they lack. Why does this happen. Is it because information exists that would compel disbelief? No. Neither side has completely compelling information or logic. I suppose here are a few components that cause problems for seminarians. 1. Upbringing that focuses on unchallenged belief. Many seminarians are brought up in a sub-culture of sorts. This sub-culture encourages belief without acknowledging the healthy role of doubt in this. 2. They are uprooted into a broader skeptical culture, or a high culture of unbelief. Raised in an sub-culture that praises faith and sees doubt as sinful (or worse) individuals often do well until they begin to interact in other cultural settings. Unprepared for this skeptical culture shock/disorientation, these people feel they must either deny doubt or deny belief. 3. Having been taught that doubt is the opposite of faith, the individual finds the first feelings of doubt as a scary thing. At first the doubt is denied. But if the doubt gets to a point where it cannot be denied, there may be a feeling that they already are an unbeliever. If you think about it, there is a bit of dark humor to this. Because the individual begins to doubt one part of their doctrine (salvation, God, supernatural, whatever), a different part of their own doctrine (doubt is sin and the opposite of faith) is left unchallenged by doubt to tear down their own belief. I remember being in college. I attended a fairly conservative Christian college (Cedarville University). While I did disagree with some things they said, it did help me to mature in a belief-friendly environment that was still academic and challenging. I then transferred to a very secular university for my Junior and Senior years. 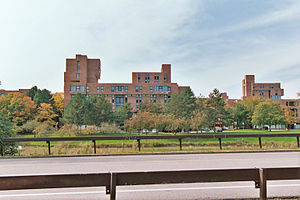 I noticed that there was a strong attempt to challenge and change the belief systems of students at SUNY at Buffalo (No, I have not found all secular schools to be this way). However, by the time I got there as a 20 year old, I was prepared to see the weaknesses and strengths of both my own beliefs and those that were seeking to challenge those beliefs. I was mature enough to know that my doubts could equally drive me in either direction. I felt sorry for the freshman, right out of High School dumped into such an environment, ill-prepared (commonly) to doubt and evaluate the “expert opinions” of those in charge. There seems to be several fairly obvious things that could help nurture a young believer (or even a not-so-young believer). 1. Churches and families should not be so quick to squelch or ignore issues of doubt and faith. A church should be a safe place for both belief and doubt. Doubters of all types should always be welcome without fear of abuse. 2. Young believers need to be nurtured in their faith… but not by people who are sort of “Name it and claim it” or “God said it, I believe it, and that settles it.” These people may have their positive qualities (as well as negative) but they do not position the young believer well for the culture shock of faith in the Modernist or Post-Modernist world. 3. Faith, doubt, and belief are important parts of seminary training. To teach the JEDP Theory of Pentateuch development as fact (a pretty doubtful theory, do be honest) will challenge faith. But even if one believes it to be fact, one should never teach it without considering how information would be integrated into the student’s faith structure. Again, faith and doubt should be dealt with freely and honestly (not an easy thing in seminary). 4. Ideally, seminary students should not be young (physically or spiritually). Preferably, students should already have gone through a trial of faith. That could either be a struggle that takes one from unbelief to belief, or one that challenges the faith that was there, and was taken through the fire. Belief that is unchallenged, unquestioned, flabby… will not survive long in a culture that promotes unbelief or at least a biased skepticism. People always like to contrast Faith and Doubt. I think that this is in error. 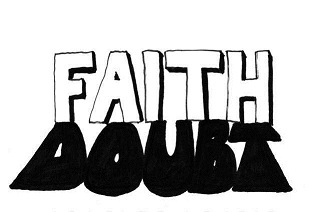 I believe (and I am not alone in this assessment) that faith is empowered by doubt. Doubt is simply honesty… and honesty is not bad. We are limited in knowledge (we don’t know everything). We are limited in time and space (we have not experienced and cannot experience everything). We are limited in wisdom (we lack the software to unerringly process what knowledge and experience we do have). We should doubt. Not to doubt is simply self-delusion, self-denial, or hubris. If doubt is not bad in itself… perhaps even unavoidable… what is the result? In truth, the result is our choice… to some extent. Doubt can empower belief. Is it even accurate to say that one has belief if one does not doubt (or if one is blind to the doubt)? Belief is volitional, doubt is cognitive. Personal experience, analytic statements, and syllogistic /deductive logic can only take one so far. As Lewis Carroll noted via Achilles and his friend, the Tortoise, no logic can ever be truly compelling. Such an attempt would result into an infinite number of logical steps. At some point in time one has to step back and say that they find the evidence they have to be compelling. This is faith. Obviously, pretty much everything in life requires faith of one sort or another. Belief requires faith that is empowered by doubt. However, doubt can also empower disbelief. The process is not essentially different. One may be faced with the same evidence, the same concerns, the same experiences, the same logic. However, in the end, one finds the counter-argument to be compelling. This is still faith, but faith that leads to disbelief. In missions, one should not seek to squelch doubt. Rather one should work with people to come to terms with their doubt. In my case, my father helped me process my doubt. My father was the head deacon of our church. Even though we came from a very conservative church, my father did not mind questions that evidenced doubt, or challenged set thoughts. My dad would let me come to my own conclusions (I would anyway) but would do his best to give his own opinion, thoughtfully, and fairly. My dad was also a very smart man. Years ago, when people talk about something being easy, they might say “It’s not rocket science.” My dad actually was a rocket scientist, along with mechanical test engineer, and ‘human computer’ (back before electronic computers were available). This was helpful. Because when I went to High School and some of the teachers challenged my beliefs, I remembered my dad. He was the president of the school board, so why should I be bothered by teachers. When I was in college and in the Navy, I was also challenged by others, encouraging me to have my doubts be channeled towards unbelief. Again, my father helped me direct my doubts towards belief. A couple of years ago, I was editing a journal for our organization here: “Bukal Life Journal.”. One article that I am going through right now is a reprint (most articles are original submissions, but we really wanted to print this one and we were happily given the permission) of one by Dr. Raymond J. Lawrence, the General Secretary of the College of Pastoral Supervision and Psychotherapy. The article is titled “The Vicissitudes of Spirituality.” The article points out how the term “spirit” has been changed over centuries to the point that it has little to do with the original or Biblical concept. He pointed out that the root terms “ruah” (Hebrew), “pneuma” (Greek), and “spiritus” (Latin) had little to nothing to do with incorporeality (or the opposite of matter/flesh). That is not to say that spirit never has to do with incorporeality— for example Jesus noting that in His resurrected state He is not a spirit in that he has flesh and bones (Luke 24:39). Words have more than one meaning and so one must look at the context. We certainly don’t want to fall into the error of Jehovah’s Witnesses who tend to interpret “pneuma” and “ruah” only one way, ignoring its context. As such it is similar to the classic early church contrast of “walking in the light” and “walking in darkness.” Here, when one focuses on the concrete side it sounds like one has the choice between living corporeally or living uncorporeally. However, one has to interpret based on the abstract quality that utilizes the metaphor rather than the concrete object it connects to. “Spirit” get’s hit hard in the area of Websterian Theology, as is using Webster’s Dictionary. Take the definition #1 from a major dictionary (actually using in this case “The World Book Dictionary”, 1970). It says that “spirit” is “the immaterial part of man; soul.” This definition is the preferred definition by most Christians. Some Christians would prefer to focus on definition #3 “a supernatural being, such as a deity, fairy, elf, ghost, etc.” Jehovah’s Witnesses (a non-Christian religion) strongly attack these views and argue that the term “spirit” should simply mean “breath” or “wind” since the Hebrew and Greek words (ruah and pneuma, respectively) mean “breath” or “wind.” Of course, the JWs end up failing in the same way as many Christians by trying to interpret a Biblical passage using a dictionary. The terms ruah and pneuma are used in numerous ways in the Bible… many of which would be nonsensical if one was forced to translate it only as breath or as wind. The use of these terms in the Bible commonly come closer (generally) to definition #6, “courage, vigor, and liveliness.” The idea of a horse being “spirited,” meaning empowered, alive, invigorated, really suggests the idea quite well from a historic understanding. Being full of spirit or high spirited suggests full of life, full of power, full of meaningfulness. Does this matter? Sometimes, sometimes not. Looking at the figure above. The breakdown is in the lower right arrow where the dictionary interpretation is used in the process towards Biblical Interpretation. Of course, interpreting the Bible through theological filters is always risky, but far more so when the use of a theological label is disconnected from its derivation. Let me suggest four quick examples where it matters. A. “Holy Spirit.” Because we focus on the incorporeality of the term “spirit” (to say nothing of the term “Holy Ghost”) we tend to think of the Holy Spirit as being less… substantial… or less of a person… than other members of the Godhead. I recall descriptions of the Holy Spirit by Jon Arnot of the “Toronto Blessing” movement where the Holy Spirit was described as bouncing around the room and accidentally hitting the wrong person and more. I find it hard to believe that he would have used such language for God the Son, or God the Father (even the more general term “God” used such would probably be thought of as blasphemous). But because the term “Holy Spirit” sounds a lot (because of our internal dictionary… not the Bible) like “the Force” from the Star Wars series, it seems okay to interpret phenomena in a matter that is Biblically ridiculous. Perhaps the term “Creator Spiritus” helps us to embrace the metaphor connecting us to the third person of the Trinity better. B. Spirit in the sloppy term “spiritual.” People today are not particularly interested in God (in a specific or doctrinal sense), or religion, but they are interested in “spirituality.” We generally applaud spirituality and decry carnality. Certainly within the Pauline epistles there is a dualism set up between “the spirit” and “the flesh.” He was writing to Hellenized Christians so it was a useful analogy. However, Paul went on to clarify that the physical realm is not necessarily bad while not all “spirits” or “spiritualities” are good. But today, there is the temptation to suggest that being a “spiritual” person is, by definition, good. At this point, I think bringing in a concept from Paul Tillich would be helpful. I can’t really describe myself as a fan of Tillich’s theological work… but I think he comes close to some good things in the area of the term “spirit.” He says that Spirit is best understood as the union of meaning and power. It is not simply power… it has purpose. It is not simply an idea… it has power behind it. Spirit, then, is neither good nor bad… it depends on the goodness (or badness) of its meaning. Lawrence uses the example of Nazism as a “spirituality” of meaning and power that was, and is, diabolical. Tillich goes on suggesting that the qualities of good spirit (or spirituality) is “love” and “justice.” He adds four more related qualities: (self) awareness, freedom (detached from objects and the law), relatedness (as opposed to isolation), and transcendence. Considering that the Bible describes “spirit” in both positive and negative ways supports the idea that (as Paul said) the spirits must be tested. C. Living “in the Spirit.” This is kind of like the previous one. However, some look at being in the Spirit as being happy, or positive, or singing, or enthusiastic (definition #7). It is judged by one’s emotional state. This seems to go back to old-time medicine where one’s emotional state was dictated by “humors” and “spirits”— fluids that flowed through the body. Humors were visible (blood, biles and such) while spirits were not visible. One may say that spirits here relate to one’s “spiritual state” rather than emotional, yet the characteristics of the state are essentially emotional in character. To draw from mathematics, “spirit” is not scalar, but vector. A scalar quality only has magnitude. A vector quality has both magnitude and direction. When we are living in the Spirit, or are led by the Spirit, this is not merely being joyful, or emotionally upbeat (drugs can accomplish that fairly well by themselves… for a time). Rather, we are empowered by God to live with a divine purpose and meaning. To say that we are baptized by the Spirit means that we (communally) have been empowered and given common purpose with all other believers in Christ. D. Spirituality as opposed to the Mind. Some think being led by the spirit means turning off one’s mind. The spirit is anti-intellectual. There is no good basis for this. Spirituality is only opposed to the mind if the mind is opposed to the purpose, plans, and meaning given by God. Being “in the spirit” is not an argument for doing foolish behavior. 1. Missionaries are to be led by the Spirit. This does not mean a turning off of our intellectual capacities and planning. This does not mean rejecting the “physical realm” and seeking a non-corporeal bliss. It means that we seek to live out our purpose both given and empowered by God. When I was in High School and College, there was Barney the Dinosaur. Big purple plush costume and a silly voice. Little children loved Barney. But I was not a little child. I was like many others who found the silly songs and overacting annoying. “I Love You… You Love Me… We’re a Happy Family. With a Great Big Hug and a Kiss From Me to You. Won’t You Say You Love… Me… Too!” Nauseating. In college, it was cool to speak ill of Barney. Perhaps it was a way of showing one was “grown-up.” Perhaps it was a bit of unbridled cynicism. I recall reading a story of some teenagers who “beat up Barney.” Barney the Dinosaur and crew went to a mall show or something, and some kids starting punching and kicking Barney (or the actor in the costume of Barney). I did not approve of that behavior. It is not right. Yet, there was still a side of me that saw the humor in it. But a few years later something changed. I was a father with three little kids. I did not want them to watch the normal trash on TV, so I put on Barney at times because I figured it was harmless. But over time, my attitude changed about Barney. You see, Barney loved my children (he says so in the song). My children loved Barney. Barney also taught them good things, helping them to be better kids. My attitude changed as I grew up. There are three basic stages: childhood, adolescent, and adult. I am a bit embarrassed about my adolescence where I was angry at something that does not even exist (in the truest sense). However, that period probably did help me come to a healthier understanding. One can relate this to our attitude with God as well. Stage 1. Childhood. Unquestioning acceptance of God’s reality and affection. Stage 2. Adolescent. Doubt, anger, and cynicism about the whole God thing. The existence of God is now doubted, and the idea that one has possibly been duped leads to unfocused frustration and hostility aimed at God (who may not exist) and believers (who definitely exist… many seemingly without such doubts). Stage 3. Adulthood. There is still doubt, but recognize that God as a symbol may be useful (at least for the kids). Additionally, God could actually exist and that possibility provides some level of hope and comfort. Which stage is best? I suppose the best is based on whether God truly exists or not. If He does not exist, then I suppose Stage 3 is best. One should go through the stages 1, then 2, and finally 3. This one recognizes that God as a norming standard of “goodness” is beneficial. On the other hand, if God truly exists, then Stage 1 is best. Belief and trust. One can understand why Jesus said that one must come to God as a child. Children enter faith in God directly in Stage 1. For adults, typically we transition from Stage 3 (nominal faith and unfocused hope) to Stage 2 (disorientation and struggle) before arriving at faith in God (Stage 1). Often the greater the struggle (Stage 2) the greater the ultimate faith. Many of the greatest heroes of faith (St. Augustine and C.S. Lewis for example) had great struggles in Stage 2. God is NOT a big purple dinosaur. Barney does not exist in the truest sense of the word. He is more of a symbol… a symbol of goodness and love. That’s fine and has its place. However, I believe that God is real and one job of ours is to help people to process from Stage 3 to Stage 1. I believe that stage 2 is not a healthy place to dwell, but is a healthy place to work through. We should not be too quick to get people to jump immediately to Stage 1 faith. There is value in the struggle. Great article on a great book. This post is not for those of a sensitive disposition. For Christians recovering from toxic churches, Ronald M Enroth’s 1992 book Churches that Abuse is recommended reading. The book has been mentioned on many church abuse recovery sites and is available in its entirety online for free. It’s well worth a read, even for those who belong to sound, doctrinal congregations. It will confirm certain stereotypes but smash a few others. What follows are a few excerpts, highlights mine.